Are you interested in migrating to the European Union? Pondering about the best place? Don’t worry! Denmark would be the best option for skilled and talented professionals who wish to immigrate to another country for work purpose. Being one among the top destinations for attracting skilled professionals, Denmark offers enhanced lifestyle and career options for overseas workers. If you wish to live and work in Denmark, you need to obtain a residence permit. Denmark Greencard is the perfect option for foreigners who wish to immigrate to Denmark for work purpose. 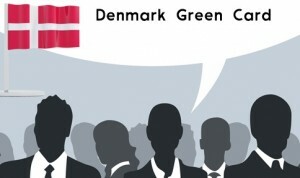 Denmark Greencard follows a point’s based system to evaluate the candidate’s eligibility criteria. Denmark Work Permit is not required for those individuals who acquire a residence permit under the Denmark Greencard scheme. Individuals who acquire a residence permit under Denmark Greencard scheme can carry out paid or unpaid work. Aspirants holding a Denmark Residence Permit on the grounds of family reunification or asylum or humanitarian basis, do not require a Denmark Work Permit to work in the country. Denmark Greencard scheme follows a point’s based system to evaluate candidate’s eligibility. In this system, candidates will be claimed points based on certain set of factors which include educational qualifications, work experience, nature of adaptability, language skills and age criteria. Every candidate must acquire minimum 100 points in Denmark Greencard Points Calculator to get qualified for Denmark Greencard scheme. In addition, you must have full health insurance coverage and must hold evidence demonstrating that you are capable of meeting your expenses and your dependent family members’ expenses during your stay in the country. How long a Denmark Residence Permit is valid? In general, a residence permit under Denmark Green Card is valid for a maximum period of three years. But you can apply for an extension of a maximum period of one year before the end of initial period. Holders of Denmark Green Card can bring their dependent family members along with them to the country.